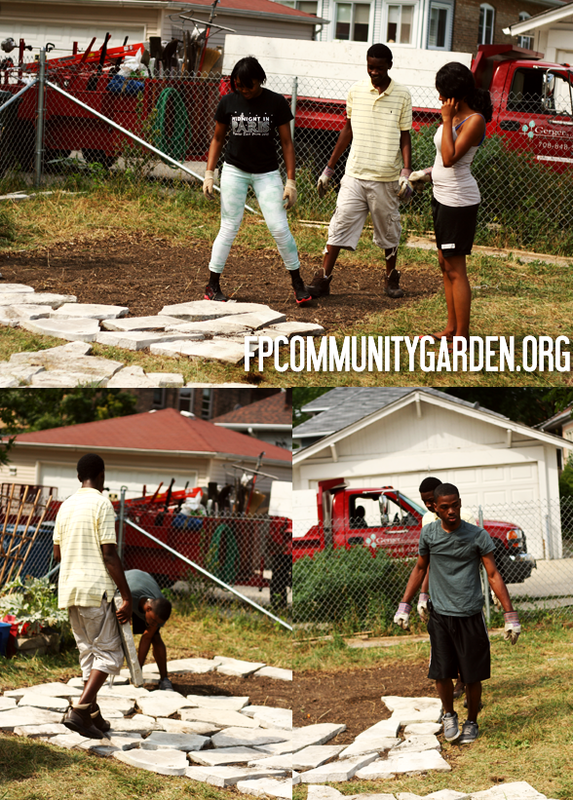 Summer is winding down, and so is the Forest Park Community Garden Youth program. Last week, many of our young gardeners returned to high school and some embarked on the next chapter of their lives by enrolling in college. The kids wanted to leave the Forest Park Community Garden a lasting gift to show our appreciation for allowing us to use your space as a teaching garden this summer. Six weeks ago a group of local teens entered through the gates of the community garden never having so much as touched a seed. Six weeks later, they're mini farmers and gardeners in their own right. They've eaten produce straight from the garden shared with them by members, learned how to plant and plan a garden. Learned about the importance of local seed banks. Visited gardens they never would have visited otherwise. And discovered that even in a suburb there are families dealing with food insecurity who make use of the Forest Park Food Bank. Today, the kids, under the guidance of Gerger & Greco Landscaping, tackled that stack of pavers that have sat in the corner and created a new patio area for the garden. It was the largest (and heaviest) puzzle the kids have ever assembled, and I think the results look pretty nice. Come see it for yourself this week. What will you use the new patio for? Cookouts? A music or spoken word series in the evenings and weekends? Maybe a place to sit and talk with your fellow garden members? A garden workshop space? The possibilities are endless. We hope you enjoy your new gathering space within the garden for years to come. 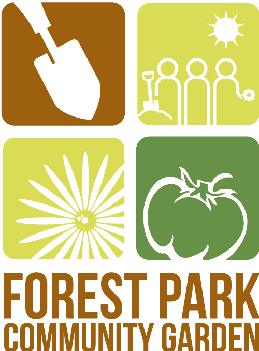 This is the last official week of the Forest Park Garden Youth program. We've met many of you in person, and others we have only gotten to know by the plants you cultivate in your plots. If you get a chance, please stop by Tuesday, and Wednesday from 9-5pm to say hello.